Guy Nielson Company warehouses and supplies a wide variety of refractory materials. These materials include firebrick, rotary kiln brick including magnesite and high alumina, monolithics, plastics including phosphate bonded and air set, insulation including conventional, gunned and ceramic, gunned and shotcreted materials. Finally, we also carry a wide selection of stainless steel anchors and ceramic anchor brick. 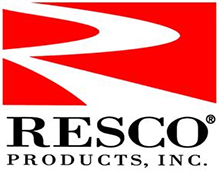 We have warehouses in Idaho, Montana, Oregon, and Washington State to assist you with your refractory needs.